Manufactured from Green Spun Plastic Bottle Yarn obtained from post- consumer coloured plastic pop/soda bottles; this Black bag features two 22 inch long carry handles. Imprint design as shown is for example only. 1 Colour imprint included $9.65 $9.28 $8.50 $8.00 each. 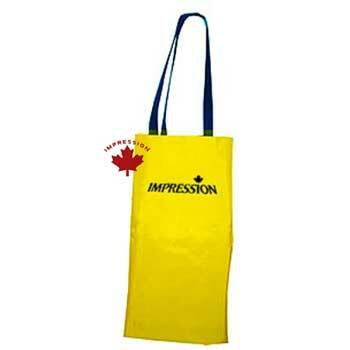 These tote bags are manufactured in our Toronto, Canada factory.